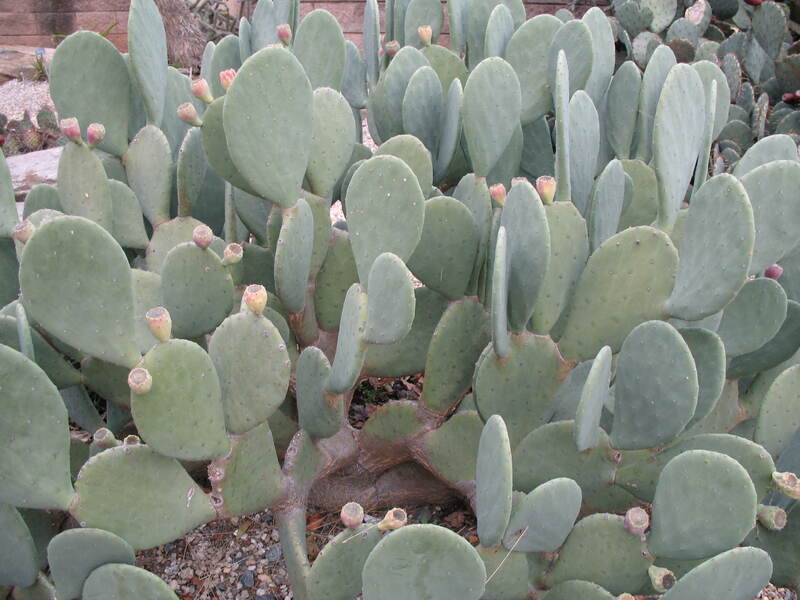 Comments: This hybrid cactus is spineless and has bright yellow flowers in late summer followed by red pears into fall. The fruit is edible. It is the slowest growing of the spinelsss opuntias. It is at home in the xeriscape and in containers.